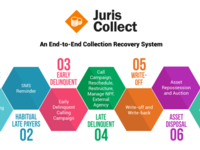 Juris Collect is a debt collection software that helps you to apply different collection plan for different customers via precision targeting of customer groups. 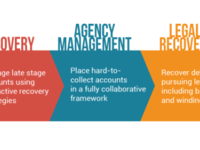 It offers modules to manage each stage of delinquency with features for all the touch points in debt collection process. 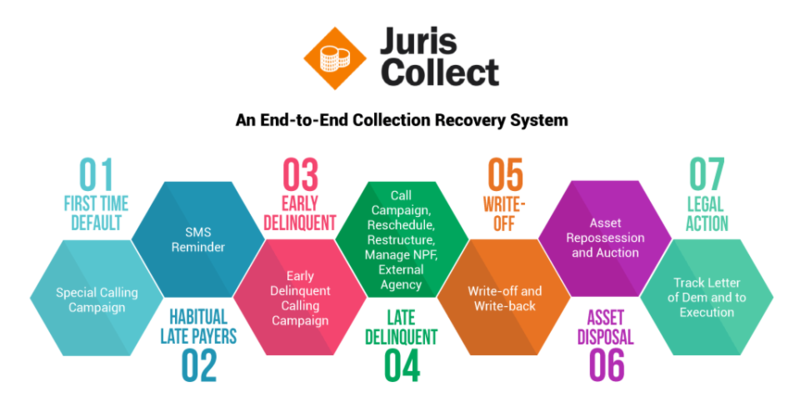 With the ability to integrate behavioural scoring to track behaviours, payments & contact patterns, Juris Collect maximizes collection revenue by using the right pre-emptive measure on different delinquency tracks.